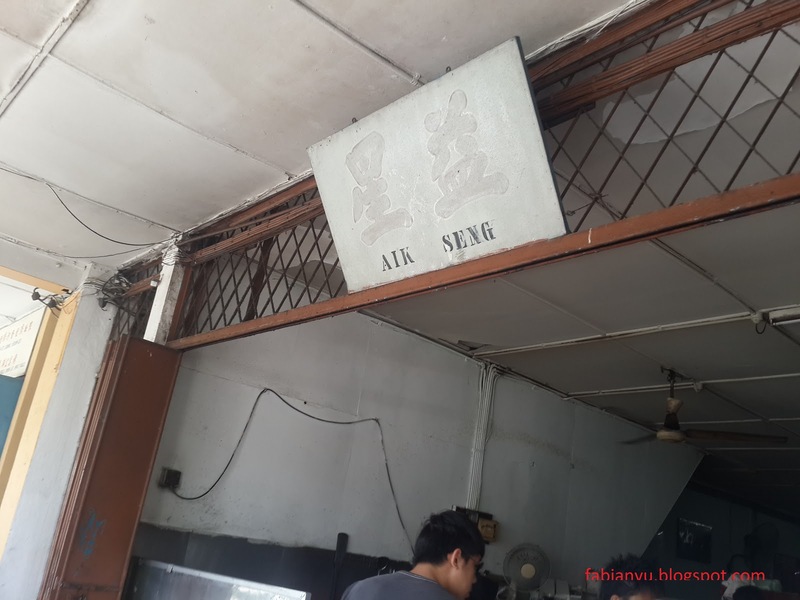 Aik Seng Cafe at Jalan Wharf. The rice is not as oily as some which you would find in other places but it does have the very fragrant aroma. The best part of this dish is the fried chicken pieces. They are very crispy on the outside while succulent on the inside. This is Sarawak Laksa. 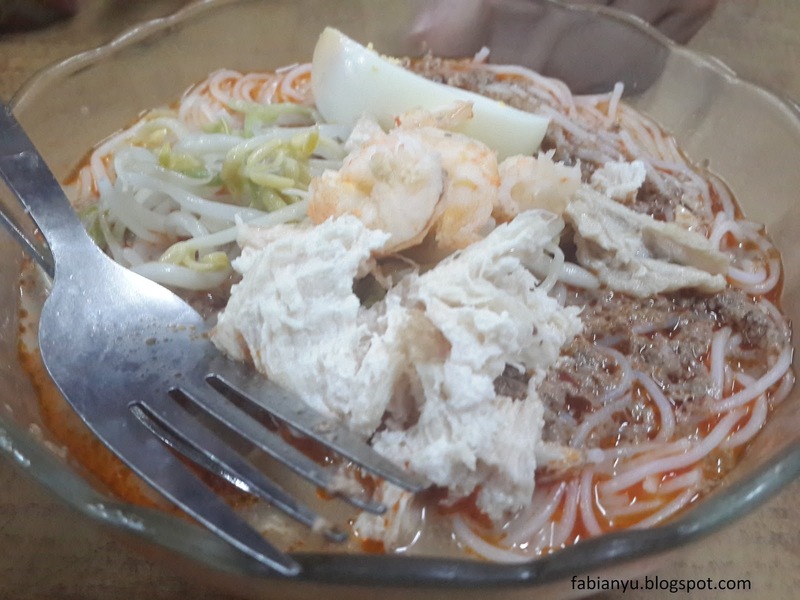 For the uninitiated, there are actually a few significant differences between Sarawak Laksa and the other variety of Laksa which can be found in peninsular Malaysia. 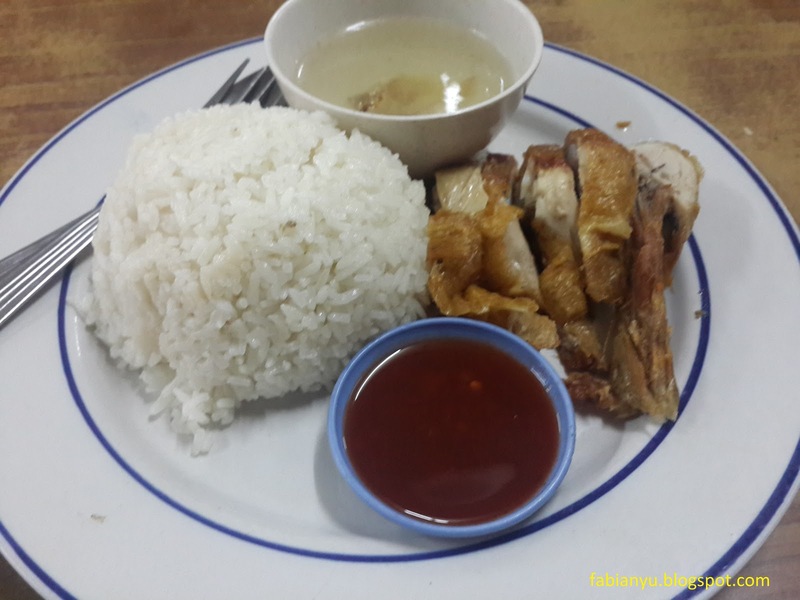 The most notable feature is the usage of rice vermicelli instead of the thicker noodle. 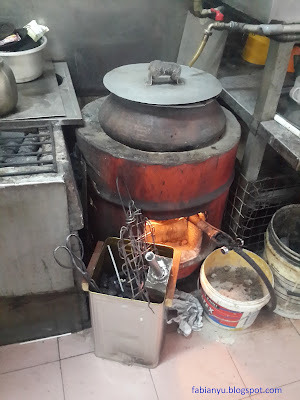 Besides, Sambal Belacan (Malaysian traditional shrimp paste) is added into the broth which grants it its reddish colour. The Laksa served here is not spicy, and it gives a very rich coconut milk aftertaste that will linger for quite some time in one's mouth. People usually associates Aik Seng with these seemingly unatractive buns, and the recipe has been passed down 2 generations (you are most welcome to correct me if I am wrong). As a matter of fact, these buns are nothing fancy like all those sandwiches vended by the food trucks all over KL but they have a very, very unique charcoal aroma which draw tons of visitors from all places. They have been serving these old-fashioned buns for decades and even until today. In addition, they make their own Kaya (coconut jam) as well as peanut butter to spread on the warm buns. 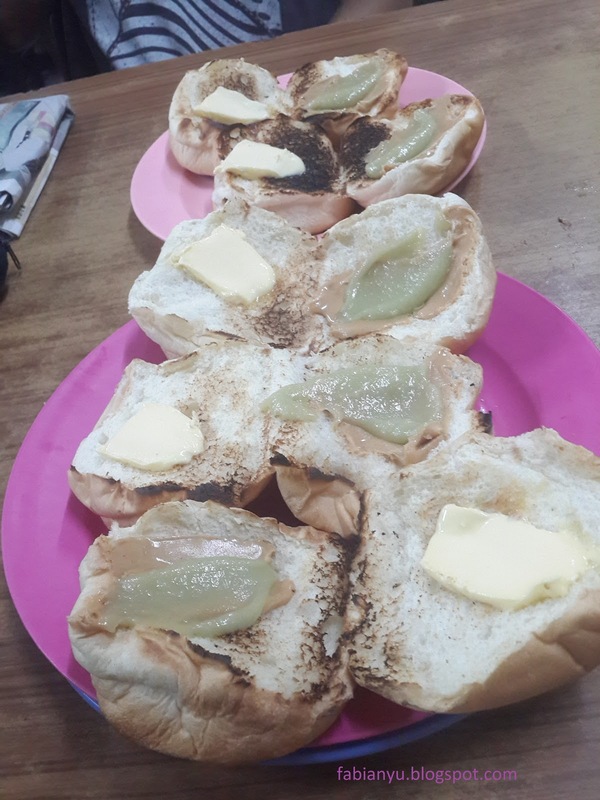 Not to mention that I once came across a travel guide written by a Taiwanese author recommending this toasted bun. I went there...specifically for the buns but the place was closed. So pissed off!!! Tsk! Tsk! They say the food there isn't spectacular though - better go elsewhere. HAHA! I read your post the other day! The place normally closes during the whole month of RAYA! HB brought me to Sarikei once and we actually had the big head prawn noodles which is famous in the town. Wow! I can't believe this is still around. I was here in the early 2000's for work, ate the charcoal toasted buns here too. Yeah the place still exists until today. Hi Q jiun long time no see. Sure! Fell free la!